Employers now know that wellness programs are an essential part of an effective workplace environment. Not only do they save healthcare costs and reduce absenteeism, but they also create a positive employee culture that promotes team connection and company loyalty. The problem businesses now face is not whether to implement a workplace wellness program, but how. So many programs and platforms are being pitched to employers that it can seem overwhelming as to which one will actually stimulate effective healthy change for the company team. The current gold standard for building successful health promotion programs is Dr. Michael O’Donnell’s AMSO Model. AMSO stands for Awareness, Motivation, Skills and Opportunities, which, according to the model, are the essential pillars of health behavior change. Awareness is the education piece. Many companies utilize lunch and learns, health fairs and health screenings as tools to provide useful information on various health topics to their employees. Motivation entails providing employees with some sort of external motivator with the intent of encouraging internal motivation as well. Examples could be monetary rewards, reimbursements, paid time off or other material rewards. Skills refers to improving the self-efficacy of the participant. Cooking workshops, fitness boot camps and online training modules can all be used to enhance skills needed for health changes. Finally, opportunity indicates an overall emphasis on wellness in the workplace environment. For instance, if a workplace has a cafeteria that offers only junk food, employees do not have the opportunity to choose healthy foods, even if they have learned about better choices and been given tools to read labels. While the AMSO model is an excellent template for addressing the needs of wellness program participants, it leaves which components of wellness should be included open to interpretation. A company could focus solely on healthy eating, for example, by offering hands-on lunch and learn workshops lead by a dietitian as well as providing healthy snack options in the vending machine. However, this food-focused program would not address the underlying stress employees might be experiencing, or their potential lack of movement, or their need for improved sleep techniques. These gaps lead to an incomplete picture of wellness that will not be effective in truly impacting long-term health. Based on my experiences leading a variety of health and wellness programs, a holistic approach that includes multiple aspects of targeted health services is crucial to implementing a workplace wellness program that will actually work to move to a corporate culture of wellness. Movement that Matters. According to health experts, sitting is the new smoking, as it has become one of the leading contributors to chronic disease. Lack of education does not seem to be the culprit here, however. Employees tend to need more motivation, skills and most importantly, opportunities in this arena. Worksites that have a gym are well situated to have a personal trainer routinely promote exercise on site. However, even if a gym space is not an option, a comprehensive wellness program with a fitness expert could provide fitness tools around the company location, such as walking path markers, posters to promote taking the stairs, and Fitbit challenges to meet step goals. Real, Nourishing Food. Education is critical for this component. There is so much mixed information in the media about what is healthy that most people are very confused. Lunch and learns are a great way to promote nutrition education, but the information needs to be consistent, provided on a frequent basis, and backed with current food science. One seminar a few times a year is not enough to provide quality education. I recommend 1-2 nutrition sessions per month, ideally providing samples of healthy foods within these classes in order to create self-efficacy around the concept of actually being able to enjoy healthy foods. A dietitian can also consult with management to implement skill building activities, such as cooking classes or grocery tours, and supported with handouts and online videos. The goal is to build environmental change, and a healthy potluck competition or a list of healthier items for hallway vending machines can add to the comprehensive education program. Psychological Wellness. Stress isn’t going anywhere so employees need to be armed with strategies on how to handle their stress and their time more wisely. Psychological wellness encompasses so much more than just stress management. While it is important to coach employees how to better handle stress, it may be even more important to help them uncover reasons for their health-sabotaging behaviors and come up with tools to improve their previous habits. Typical health coaches can provide beneficial education on this subject, but a licensed therapist with a background in stress resilience, eating behaviors and cognitive psychotherapy is truly the professional who can teach lasting behavioral skills. Many carriers offer support online or over the phone which can help. Due to the sensitive nature of personal health issues, some individuals may choose to keep a health journal which can be a great outlet for stress. To get through more difficult issues individually, private counseling offers great success. Relaxation & Self-Compassion. These aspects of health are almost always overlooked in workplace wellness. Most programs focus on step goals, fitness competitions and weight loss comparisons. However, such intensity can actually drive increased stress and may even lead to lowered morale if certain individuals cannot keep up. Moreover, studies show that negative mindsets and deleterious self-talk can stimulate an increase in inflammatory markers, which leads to increased risk of metabolic diseases. Stretch breaks, yoga classes, motivational team huddles and regular positive affirmations and messaging can promote a culture of confidence, self-compassion and creativity which can lead to an enhanced focus on job tasks. Accountability & Connection. Short-term competitions, one-time health fairs and annual wellness campaigns certainly have their place in creating education and awareness around health issues. However, these short-lived, sporadic instances do not create lasting motivation for change. Any successful wellness program needs to have an aspect of accountability, whether that is from regular documentation of goal setting or from consistent meetings with a coach or other health professional. Your employees need to know that someone is not only paying attention to their behaviors, but that someone truly cares about their success within their health endeavors. Again, health coaches with a routine presence on site are in the perfect position for this kind of accountability and if these same coaches are also leading the workshops and campaigns for the other components of the program, their familiarity will create trusting relationships and connection amongst all other participants. Journaling or keeping a workbook can be tools to help track performance measures as well as attitudes and emotions. At the St. Jude Wellness Center in Brea, CA, we have developed the REACH workplace wellness program that encompasses all five pillars of successful health programs and utilizes AMSO as a guideline when creating our curriculum. The REACH acronym stands for Realistic, Eating, Accountability, Connection and Holistic Health, with each piece symbolizing the five health pillars. Our primary team consists of a registered dietitian, a licensed psychotherapist and a certified functional fitness trainer. We provide a workbook of recipes and meal plans for participants to start with to develop their skills with health food. Lunch and learns are provided on a biweekly basis on a variety of topics from label reading and meal planning to understanding our relationship with food. New exercise circuit workouts are created monthly by the trainer, and can also be taught in person if there is a gym on site. Monthly personal coaching sessions are offered with either the dietitian or the psychotherapist and a weekly email is sent out with skill-building tools, guides, inspiring articles and positive affirmations. Our team is also available for workplace environmental change consulting, such as how to improve vending machine food options, cafeteria menus, office space fitness suggestions, circuit workouts for onsite gyms, and motivational posters. We also have contracted team members, such as yoga instructors and meditation leaders, who are available on an as-needed basis. For those outside of our geographical vicinity, our program is also modifiable for online needs. WebEx lunch and learns and telehealth coaching sessions are options for companies who cannot utilize our program in person. The REACH program is modifiable to fit company needs and while I am proud of this program I have helped to design, it is important for all employers to shop around and find the program that best fits the needs of their team and the culture of wellness they are trying to implement. Be sure to look at the multiple aspects of health that your employees may need assistance in implementing, rather than jump on a single-focus program that promises fast results. These one-time programs, such as individual health fairs or annual weight loss competitions, may seem cheaper and easier to integrate, but they rarely create the long-lasting change that your team and your company need for a culture of true health and wellness. Megan Wroe is a registered dietitian and health coach. She received her Master’s degree in nutrition and food science at Cal Poly Pomona and completed her dietetic internship at the VA in Los Angeles. 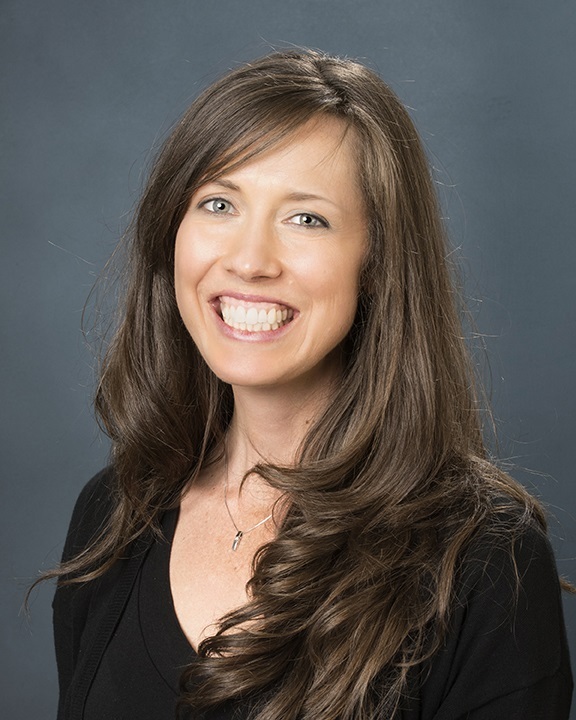 After years in the field of pediatric outpatient nutrition, Megan became a Certified Lactation Educator and more recently, became certified as a Culinary Nutrition Expert, making her a professional at putting nutrition recommendations into actual food experiences. Megan is currently a lead health coach at St. Jude Wellness Center. She works directly with clients for both individual consultation and in teaching health and wellness programs. She also works with employers and advisors/brokers in implementing wellness programs into their company workplace. All other members of the St. Jude Wellness Team have masters degrees and are highly trained in their areas of expertise. For questions on how we can help either your employees or your clients to start a comprehensive wellness program and for guidance on steps to get started, contact Megan at megan.wroe@stjoe.org or (714) 578-8729. As benefit consultants we are in the ideal position to help our clients add to or enhance their employee benefits package by adding wellness programs. Most brokers cover a range of voluntary benefits and offer education on how employees can get their medical coverages working best for them. With Wellness programs we suggest ways you can step it up and offer valuable life changing programs that can help lead your clients to a foster a company culture of wellness. While we do not need to know it all we do need to access professionals who have the expertise to assist us assist our clients. Looking to insurance carriers or health care providers for wellness resources can help add some key pieces of the wellness picture and is an excellent starting point. For those who want to rise to another level they can insert themselves in the development of their client’s wellness program as a resource connector in the effort to create a corporate wellness culture. Step One: Introduce how wellness can help with employee morale, lead to greater retention and improve productivity as well as impact medical claims. Step Two: Carefully select who you bring in to work with your clients. Your selected broker friendly professionals should be able to develop, implement, and maintain a Corporate Culture of Wellness. Step three: Arrange an introduction to a wellness resource professional and play a vital role to help bring new and proven wellness components to your client. This connector role helps elevate you as part of the health and wellness team. Think of yourself as the supporter who is helping your Employer build and sustain a Corporate Culture of Wellness. Step Four: Enjoy the role. Imagine how your valuable contributions will be seen by employees and management when you add this capability to your benefits consulting tool kit. 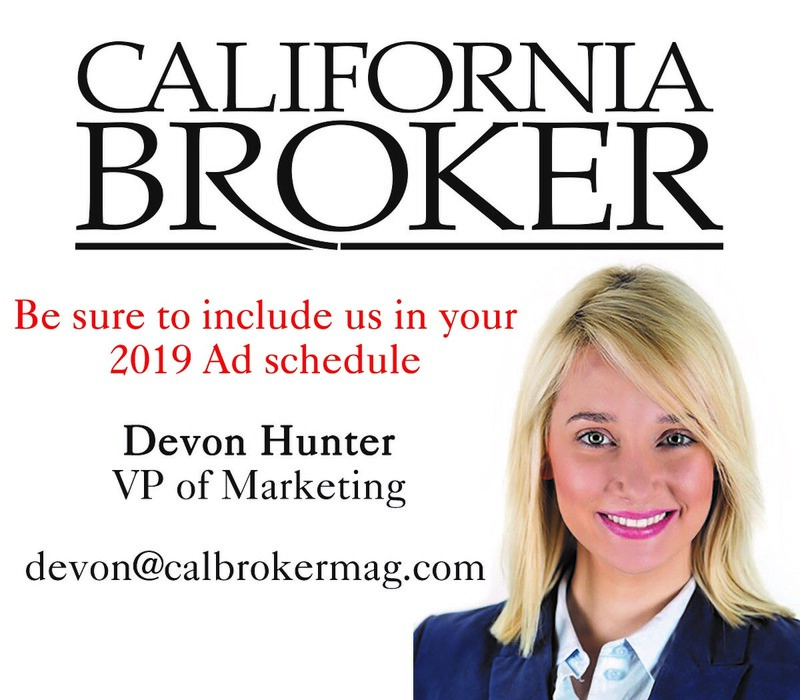 Some resources outlined this month and in last month’s Cal Broker are examples of professionals you can contact or you can find and build your own team by connecting with local professionals. Mika Leah who last month covered wellness programming ideas, provides a network of wellness professionals that can be an excellent connection no matter where your clients are located or what wellness program they want to implement. This month Megan Wroe offers her professional expertise and outlines the key components needed when developing a corporate culture of wellness. Megan and her team can provide company level or individual education to address a comprehensive corporate wellness programs for your employer clients both remotely and onsite. A final component of your advisory team is a broker friendly HR professional. Last month Lynn Hounsley contributed to our wellness article. Lynn is an experienced HR professional who weighed in on HR issues with wellness programs and can address your client’s questions. 2019 can be the year you bring a comprehensive corporate culture of wellness program to your employer benefits problem solving package! 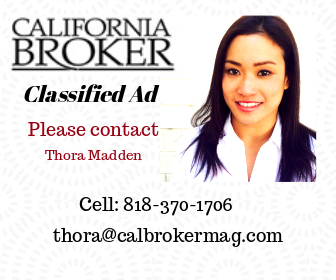 Phil Calhoun, a member of the Cal Broker editorial advisory board, earned his health and life license in 1990 which led to the development and launch of a private label Medicare HMO, Golden Outlook. 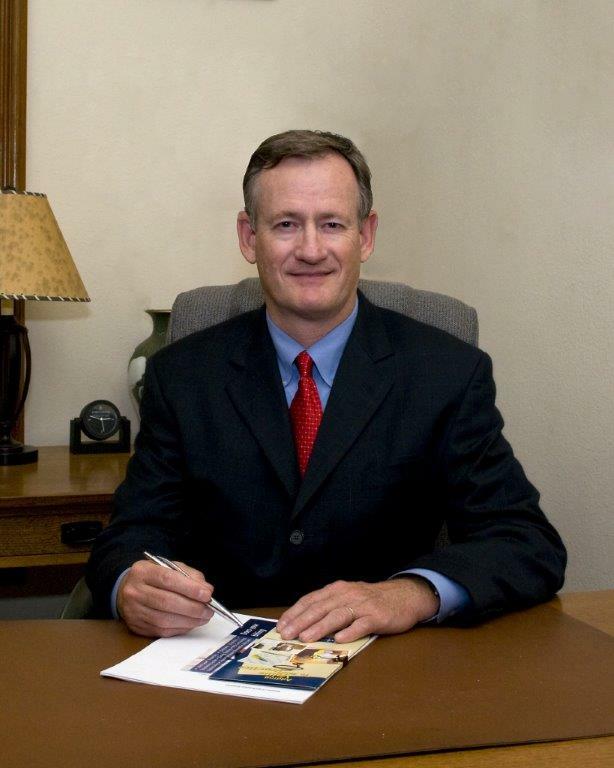 He was recruited into Orange County as vice president of business development for a large hospital in 1993 where he started an insurance agency as a subsidiary for the non-profit hospital. Phil’s 24 sales and admin staff offered group, individual and Medicare plans. In 2016 he executed a three-year plan and sold his agency and moved all of his retail clients to Integrity Advisors. He also helps brokers with succession planning through Lambda Insurance.